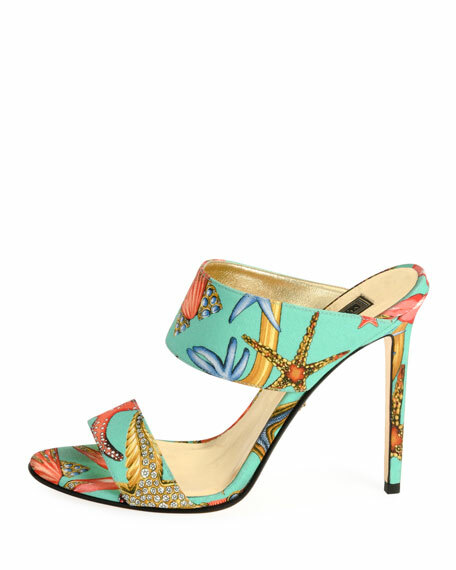 Versace Collection mule in ocean-print fabric. "Tresor" is made in Italy. 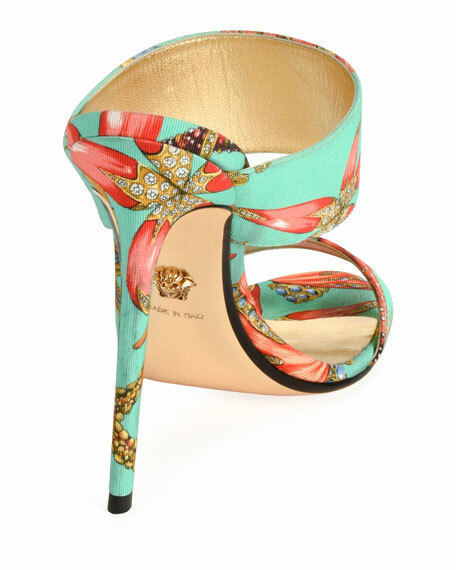 For in-store inquiries, use sku #2514693.